Which streaming box is best for cord cutters? And what's the skinny on streaming sticks? Our buying guide will help you pick the right accessories for your TV. Whether you’ve just gotten rid of cable or want to supplement your TV package with online video, now’s an excellent time to buy a media streaming device. 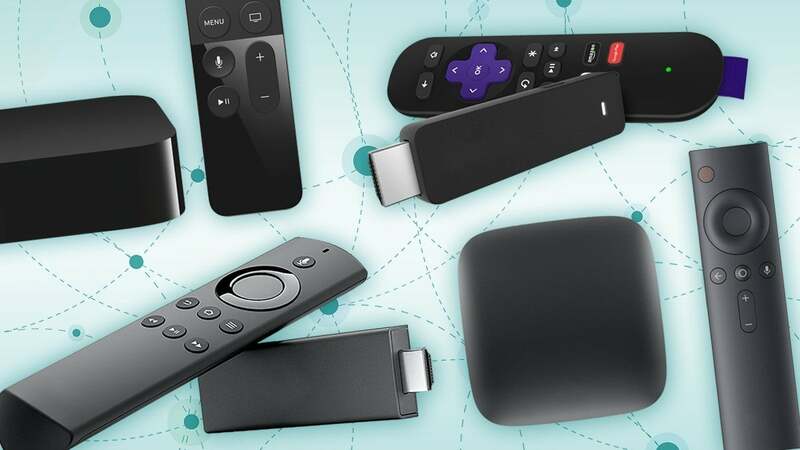 Compared to the typical smart TV, standalone streamers such as the Roku Streaming Stick and Amazon Fire TV tend to have bigger app selections, faster performance, and more features. And with so much competition between device makers, the hardware is becoming faster, more capable, and more affordable. We constantly test all the latest devices, including Roku players, Fire TV devices, Android TV devices, Apple TV, and Chromecast. We review each new generation of hardware and constantly revisit the software and app selection so we can help you determine which platform is right for you. Here are our picks for the best streaming boxes and sticks, along with all of our most current product reviews. Our recommendations will change over time as new products come to market. 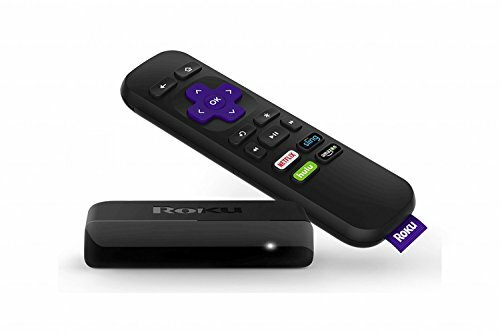 Updated March 25, 2019 to add a link to our how-to article How to make the most of Roku voice controls. Amazon got pretty much everything right with its latest streaming stick. The Amazon Fire TV 4K of course supports 4K streaming, but it also delivers all the HDR formats you could want (including HDR10+ and Dolby Vision), it supports Dolby Atmos soundtracks for truly immersive audio, and it includes hardware-accelerated MPEG-2 video decoding for cord cutters who want to stream live TV over their home networks. You’ll find Amazon’s Alexa digital assistant onboard, too, and the new remote can control your TV’s power and volume—including a mute function. It’s not absolutely perfect—YouTube TV subscribers will be disappointed to hear they’ve been ignored—but it is the best deal in media streaming hardware you can buy today. Roku's mid-range streamer gets even better, with TV controls, voice recognition, and 4K HDR video. While it hit the market around this time in 2017, the Roku Streaming Stick+ remains a strong contender, and it’s a great choice for YouTube TV subscribers. You’ll find a lot to like in Roku’s user interface, its dual-band 802.11ac Wi-Fi adapter, and its remote control. It’s a 4K streamer of course, but it supports only conventional HDR, not HDR+ or Dolby Vision. 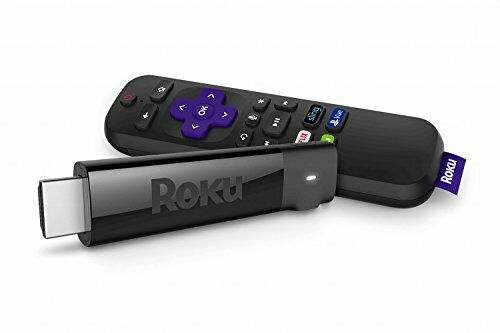 If you don’t need to the stronger Wi-Fi capabilities the Roku Streaming Stick+ offers, the latest version of the Roku Premiere+ offers many of the same features and costs $10 less. Apple TV 4K is very expensive, but it’s an obvious choice for folks who’ve devoted themselves to the Apple ecosystem. It’s the only streaming box that supports iTunes videos, Apple Music, and AirPlay streaming—not to mention Dolby Vision HDR—and it serves as a HomeKit hub for remote control of your smart home. The Siri remote offers great voice control features, and it has full support for TV volume and power. The previous-generation (1080p) Apple TV also remains available for a slightly less premium $149. Chromecast is an intriguing alternative if you like the idea of using a phone or tablet as the remote control. Because all the navigation happens on a separate device, Chromecast remains cheap, and the 2018 version is even faster. You can get years of use out of this device without feeling like it’s become obsolete. Consider the Chromecast Ultra if you’re rocking a 4K TV. 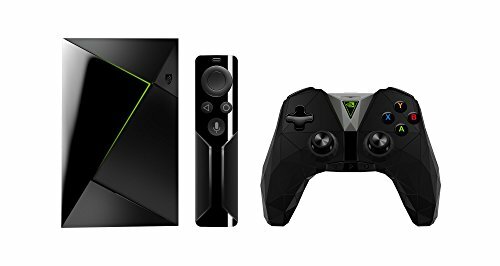 The Nvidia Shield Android TV is relatively expensive at $200, but last year’s hardware revision and an influx of geeky new features make it a compelling choice for power users. You can set the Shield up as a Plex media server for streaming a personal media library to all your other devices, for example, or connect it to an HDHomeRun networked tuner for use with Plex DVR, letting you record and watch free over-the-air broadcasts. You can even plug in a USB stick and use the set-top box as a Samsung SmartThings controller for your smart home. Needless to say, the Nvidia Shield TV supports 4K video, too. The 2017 Roku Express is good enough value, but you need spend only another $20 to get the far superior streamer that is the 2017 Roku Streaming Stick. You’ll gain 802.11ac connectivity, compared to the 802.11n adapter on the Roku Express; and an infrared remote that includes voice recognition and can control your TV’s power and volume. Sling TV subscribers who are also interested in receiving over-the-air broadcast TV might be interested in looking at the AirTV Player + Adapter, although we found it to be a disappointment. Still trying to decide between all these options? Here are some additional factors to consider when making your decision, followed by a chart comparing the features of the boxes we’ve mentioned above. Performance: In general, set-top boxes are faster than streaming sticks, and the amount you spend correlates pretty strongly with the loading speeds and smoothness you’ll get. Playback quality and resolution: If you have a 4K or 4K HDR television, you’ll probably want a streaming box that takes full advantage of those capabilities. But these days, you won’t find any modern devices that don’t at least support 1080p resolution. App selection: Traditionally, this has been the most important factor in choosing a streaming device, but over time app selection has started to look pretty similar no matter which device you choose, at least among major streaming services. Our app showdown chart will help you any particular service you’re interested in. Ecosystem tie-ins: Apple apps and services are only available through Apple TV, while Fire TV devices are the most convenient way to watch Amazon Prime video, and Google’s video and music services are generally best-accessed via Chromecast or Android TV. Roku is more of a neutral party, offering apps for Amazon, Google Play Movies & TV, and several other competing video services, but it lacks the sophisticated virtual assistants and smart home controls you’ll get with other platforms. Content discovery features: Media-streaming devices are starting to evolve beyond a static list of apps. Features like Roku Feed and the Apple TV’s “TV” app help you keep track of new arrivals, while Amazon includes recommendations directly on the Fire TV home screen. Read up on these approaches to decide which one sounds most appealing. Private listening options: Many devices support Bluetooth headphones for when you don’t want to disturb your spouse or kids. Roku players also support wired headphones through the Roku mobile app, and through the remote control on its pricier set-top boxes. Captive portal support: If plan to take your streaming device on the road, you may run into Wi-Fi networks that require a web browser for logging in. This is known as a “captive portal,” and not all streaming devices support it. Remote control features: Some remote controls are loaded with buttons for fast forward, rewind, and other special functions, while others take a more minimalist approach. Some remotes can control your television’s volume, and some include microphones for voice commands. No remote is perfect, however, so take a look at the ones that are included with each box to decide what’s most important to you. Audio codec support: An increasing number of streaming services are supporting object-based soundtracks, such as Dolby Atmos, which add height cues to surround sound. If your home audio system can also take advantage of it—and even many of today’s soundbars can—you’ll want to hear it. Connectivity: Do you plan on connecting a USB storage device, ethernet cable, or sound system via an analog or digital optical audio cable? Make sure your streaming box has the appropriate connections. You’ll also want a device with the latest 802.11ac Wi-Fi if you’re worried about bandwidth on an overcrowded home network. Roku’s stellar mid-range streamer gets even better, adding TV controls and voice recognition. 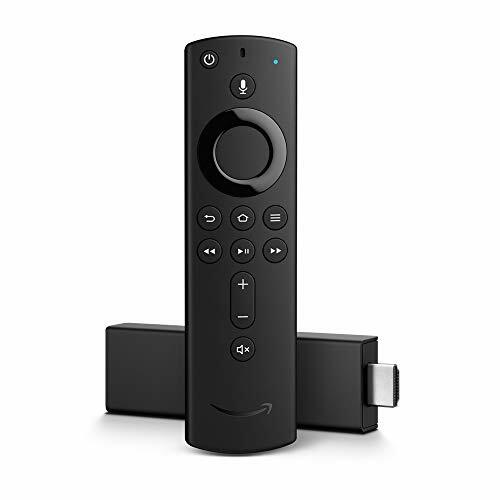 The new Fire TV Stick combines good-enough performance with powerful voice controls and a smart user interface. Designed for cord cutters, AirTV distributes broadcast TV over your home network and over the internet to remote locations. Distributes free television entertainment over your home network. Apple's 4K HDR streamer gets the little details right, but it's more than twice the price of comparable products. The least expensive Roku is much faster now, but the best Roku still doesn’t cost much more. The new Chromecast might not replace your Roku or Fire TV, but it can be a nice supplement to those devices. Some people might need Roku's most-expensive streamer, but its cheaper Streaming Sticks should be fine for most. A killer price for 4K HDR streaming isn't worth the Premiere's remote control compromises. This streaming box makes cutting cable less intimidating by bringing Sling TV and over-the-air channels together, but it's hurt by Sling TV's limitations.